Eggs – one of the most ancient food, used to make a lot of different dishes and even eaten raw, as a pure protein. They contain a lot of useful substances to the body, so they recommend to include in the diet as nutritionists and doctors. However, there is a need in a certain amount. The commonly used eggs are considered a storehouse of vitamins and nutrients. They enrich the body with vitamins A, D, E and B6, high in protein and healthy fats. They also contain iron, phosphorus, potassium, and calcium, copper, phosphorus, cobalt and iodine. Eggs have a positive effect on the condition of the teeth and bones, strengthens blood vessels and heart. Due to the content of lecithin and choline, they facilitate the proper development of the brain in the fetus, so they are especially useful for pregnant women. As part of their structure lutein is a powerful antioxidant, that's why eggs have anti-tumor properties. They are useful and if you have problems with vision. But the most surprising is that eggs are a low calorie food. Use them in cooked form in the first half of the day saturates the body with energy and at the same time does not harm the figure. The opinion of experts and nutritionists in this matter, undressed. Some continue to rely on the research of American scientists, conducted in the 70-ies of the last century who said that eggs contains large amount of cholesterol. Others are of the opinion the British researchers that refute the old studies. The latter believe that the cholesterol in eggs is formed by unsaturated fats, which not only harm the body, but also are a useful source of protein and various microelements. Eggs become more harmful product, if you fry them in vegetable oil or butter. How many eggs is good for health? There is no doubt that eggs are a must to include in your diet. However, the amount of consumption depends solely on the state of human health. 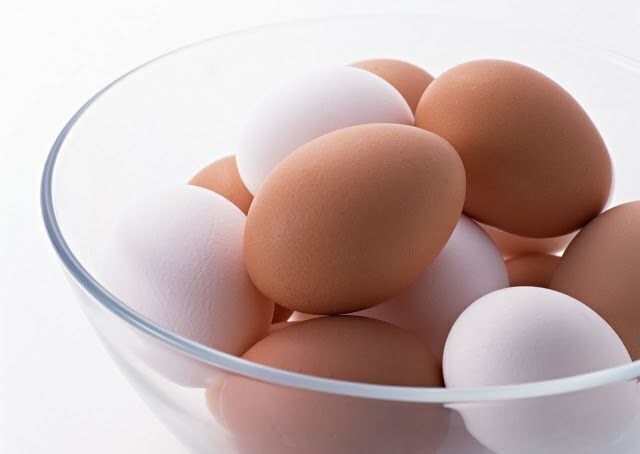 More than 4 eggs a week is not recommended to people suffering from obesity or having high cholesterol in the blood. In this case also it is not necessary to burn or consume in the afternoon. Do not forget that a number of eggs already contained in various foods such as mayonnaise or bakery products. Avoid eggs and those who have various diseases of the gastrointestinal tract. In a large number of eggs are harmful to eat during the dysfunction of the pancreas, chronic gastritis in the acute stage or cholecystitis. If no specific contraindications, every day you can eat 2-3 eggs per day. This number only beneficial for health and will enrich the body with useful substances. Children 2-3 years it is possible to give three egg yolks per week, and 4-6 years – three eggs a week.